It is safe to say that we’re about to get a real taste of winter this week, and with just two more weeks of harvest left for 2018, the feeling is bittersweet. My mind and my limbs are ready to welcome the seasonal slowdown with open arms, but my heart sinks a little when the sense of abundance that we enjoy throughout the growing season gives way to sustenance like this. There aren’t enough hours of daylight, nor degrees of warmth to grow things quickly and without major effort this time of year. We do our best, but we reach our limits. As do the hens (more on that below). Thankfully, we’ve been putting diligent effort into storing up for winter, tucking as many roots away for the coming months. 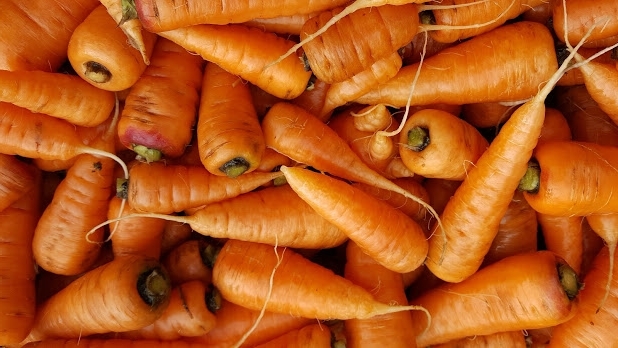 Many roots will survive the cold if left in the ground; however, when things get just cold enough, things like carrots might freeze from the top down and risk rotting. With temps set to dip into the the twenties tonight, the crew has been working since the weekend in preparation, setting up space heaters where we need them, disconnecting extraneous irrigation and adding extra layers of tarps to the hen houses for warmth. And let me tell you, those hens are NOT having any of this. 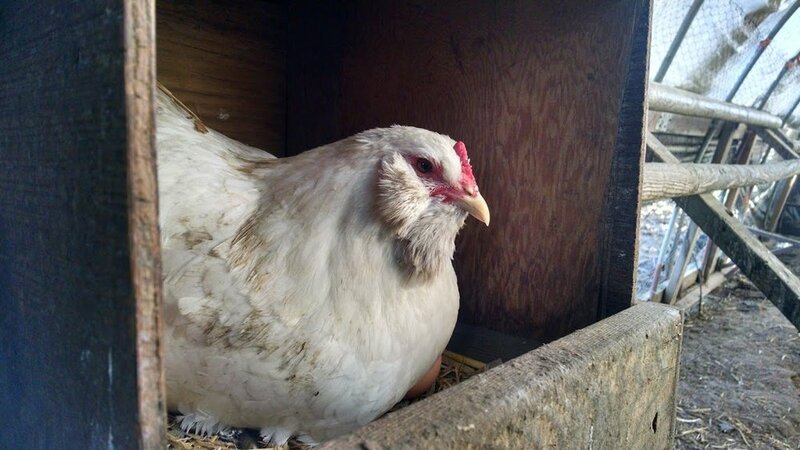 I know for a fact that we will be short again this week and next for CSA member eggs based on their current laying habits. Because of this, we’re going to have to get a bit creative over the next few weeks and ask that members with egg shares consider one of the following options for the good of the flock. Consider picking up eggs on either December 18th, 19th or 21st between 10am-7pm. We’re supposed to be “closed and on vacation” and all of that jazz, but Mark and I will make sure that there is a cooler stocked for you on those days if you’re willing accommodate our hens. If you’d like this option, you must let us know ahead of time, choosing your pickup date from those listed above and letting us know before we close up on 12/12/2018 for the holiday break. We are already signing folks up for plans for our 2019 Wild Hare Winter Share which will begin January 8, 2019. You can sign up online or at the farm when you're picking up this week or next. The Winter Share functions as literal seed money for this farm, helping us cover the expenses for all of the berry pruning and maintenance, starting our earliest of crops. As in years past, the Winter Share will feature flavorful roots, delicious apples and pears, hardy greens and frozen berries. All Winter pickups will take place at the farm (no drop sites this time of year) on Tuesdays 12-7 and Wednesdays 10-5. What better way to keep your resolve and eat healthy in the new year than with a weekly share of organic fruits and vegetables? We hope to begin signups for Spring, Summer and Fall 2019 after the new year begins. PS: It isn’t all doom and gloom—case in point? Check out those vibrant and sweet Red Core Chantenay Carrots!